EnterCard, one of the leading Scandinavian finance companies, has sharply reduced its fraud rate and generated massive savings using the FICO® Falcon® Platform to combat payments fraud and communicate with its 1.7 million customers in Denmark, Norway and Sweden. As one of the first companies to use the platform’s machine-learning adaptive analytics capability, EnterCard is able to rapidly respond to shifts in fraud patterns, and has reduced net losses in basis points by 60 percent. 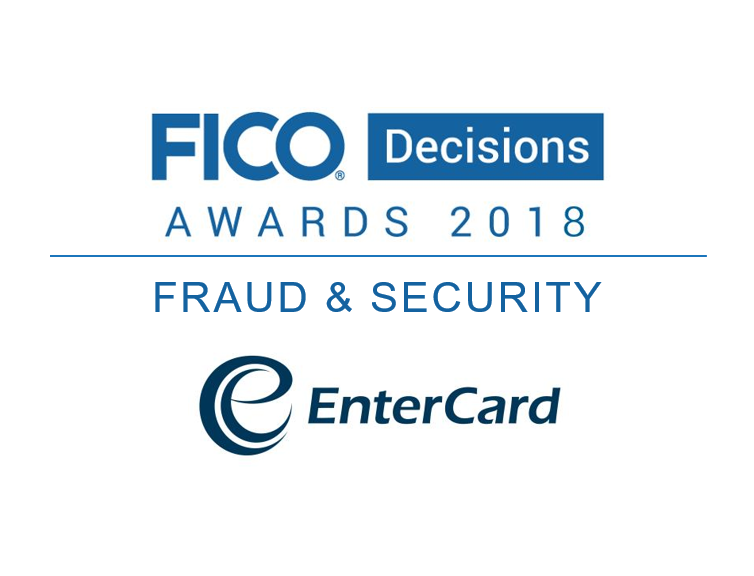 Its achievements earned EnterCard a 2018 FICO® Decisions Award for Fraud Control. Congratulations to EnterCard! Read more about their award-winning achievement. And watch this space for more FICO Decisions Awards winners. Well detailed, thank you for this blog content!